Polls | Paul's Voyage of Discovery & Etc. 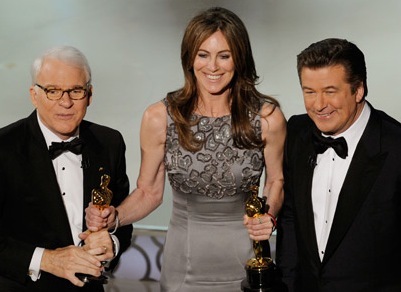 The 2010 Academy Awards, celebrating the film industry’s best and the brightest, have been doled out to the winners and, for the most part, I can’t argue with the choices made by the Academy voters. Unfortunately, that doesn’t mean that I won last night’s Oscar Party poll. Because even though I managed to watch “The Hurt Locker” the day before the awards ceremony – and I knew at once that Kathryn Bigelow’s film deserved all the Oscar buzz it was getting – I still couldn’t resist voting for “Avatar” and the amazing world James Cameron created. As it turned out, Cameron’s $300 million dollar film was amply rewarded for the stunning world it created with Oscars for Visual Effects, Art Direction, and Cinematography. But Bigelow’s much smaller budget war movie about an American bomb disposal unit working the shattered, nervous streets of Baghdad won for Best Picture, and not even James Cameron seemed to mind. 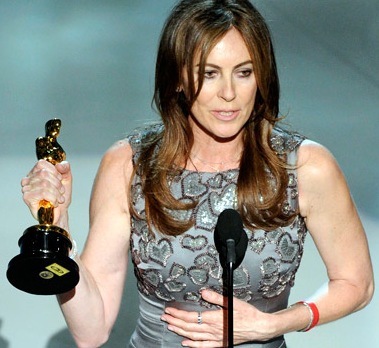 Who would've imagined that the first woman to win Best Director would win it for a war movie? 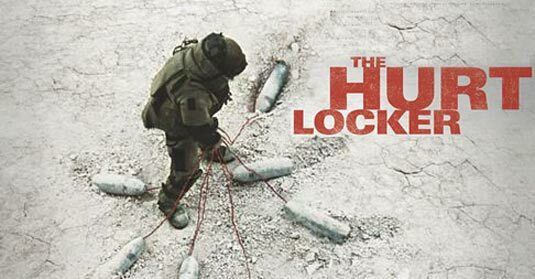 Aside from a couple of unnecessary lines of dialogue in a couple of scenes toward the end of the film, “The Hurt Locker” is a contemporary classic: something that every American should see. And now that it’s picked up a slew of Oscars, millions more will see the film in this country and around the world. Think about it. What would a Best Picture Oscar have meant to “Avatar”, which has already earned $2.6 billion dollars worldwide? That’s more than 120 times what “The Hurt Locker” has done at the box office so far. 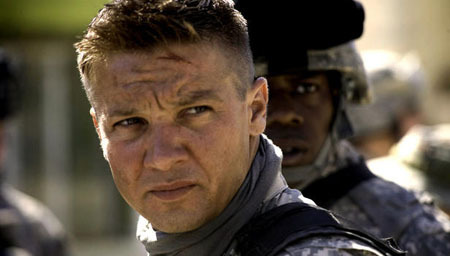 It can’t hurt to have more Americans watch Jeremy Renner and his fellow cast members portray heroic young soldiers risking their lives to protect their fellow soldiers — and an ambivalent, if not openly hostile Iraqi populace — from sudden, ultra-violent death. There’s no glorious war to be seen in this movie. Just serial carnage. As for the rest of the awards and the ceremony itself, the good far outweighed the bad. 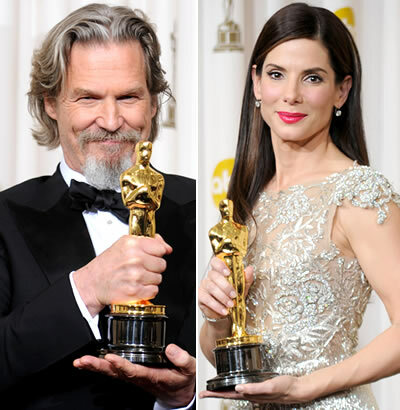 It was great to see one of my all-time favorite actors, Jeff Bridges, take home the gold. 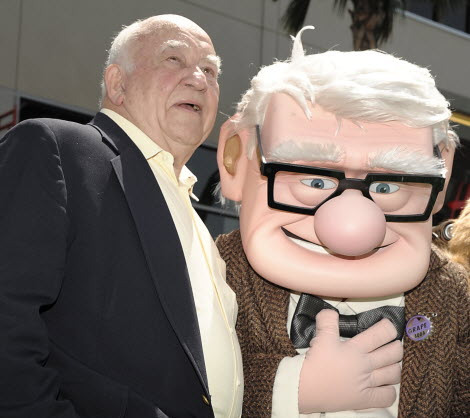 Alec Baldwin and Steve Martin were the kind of hosts for a major TV event we haven’t seen since the golden days when Bing Crosby and Bob Hope casually knocked out vaudeville one-liners with effortless comic precision and old school show biz bonhomie. 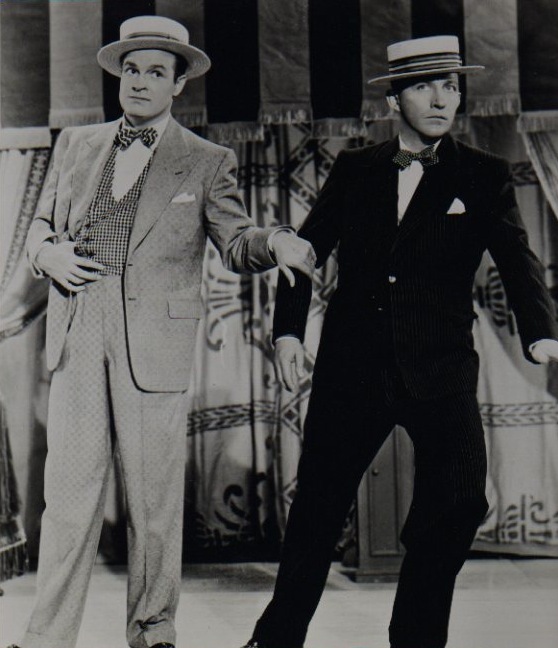 Bob and Bing show us how it used to be done, Back in the day, you had to be triple threat to be a star. 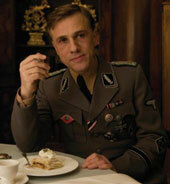 And who didn’t love the brilliant, recently-discovered Cristoph Waltz in “Inglorious Basterds” — playing the most loveably entertaining yet thoroughly evil Nazi we’ve seen since TV’s “Hogan’s Heroes”. This award was never in doubt. They could have handed Waltz his golden statuette right after Quentin Tarantino’s offbeat World War Two revenge fantasy opened last summer.